Breast Cancer Connections supports people touched by breast or ovarian cancer by providing community resources for information every step of the way. BCC’s unique Gabriella Patser program is one of the few agencies in the country providing diagnostic and support services for women 40 and under. California Health Collaborative is a nonprofit organization committed to enhancing the quality of life and health of people of California. The organization implements an array of health promotion and disease prevention programs, public health surveillance systems, and a variety of capacity-building and networking activities. An English-Spanish bilingual Care Coordinator provides Project participants with emotional support, linkages to and coordination with a variety of financial and supportive services, guidance in securing coverage for treatment, and educational materials. Find other offices in Oakland, Chico, Merced and Sacramento. The BCCTP provides cancer treatment and services for eligible low-income California residents who are screened by Cancer Detection Program: Every Woman Counts (CDP:EWC) or Family Planning, Access, Care and Treatment (Family PACT) program and found to be in need of treatment for breast and/or cervical cancer. THE COALITION is organized exclusively for educational purposes, more specifically to reduce the cancer disparity among Hispanic and all other minorities in the community through advocacy, education, referral, increasing awareness and access to services in a culturally sensitive way by overcoming barriers. Hispanic Health Initiate educates and connects medically under-served families with health education and services, available to them in their areas, by disseminating accurate information in a culturally sensitive and linguistically component manner. The community health care network offers mammography at Clovis Community and Community Regional medical centers. The Marjorie E. Radin Breast Care Center at Clovis offers a one-of-a -kind program to women who face a potential breast health issue. The services include essential specialists in imaging diagnostics, surgery, pathology, cancer care, nutrition and emotional support. We are a community based organization that works to reduce economic, language and cultural barriers to quality health care including, breast cancer screening, follow-up diagnostic and treatment services if needed for low-income, uninsured women with a focus on our Latina community, including immigrant and elderly women living in the San Francisco Bay Area. 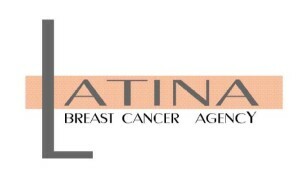 The mission of the Latina Breast Cancer Agency (LBCA) is to facilitate access to simple, practical information, education, health care, resources and provide emotional support for Latinas who have been diagnosed with breast cancer. The Lung Cancer Foundation (BJALCF) is one of the largest patient-driven philanthropies nationwide devoted exclusively to eradicating lung cancer through research, awareness, education, early detection and treatment. This SE Arizona organization provides a patient-centered health care home that ensures access to culturally appropriate, primary care and community-based education regardless of an individual’s ability to pay. provides breast health promotion, breast health services, mammography, diagnostic testing and support services for breast cancer survivors targeting medically under-served women since its inception in 1994. Mariposa will support treatment costs for uninsured women who have a breast cancer diagnosis and do not qualify for treatment through the Well Woman Health Check Program. MCHC is located in Nogales with satellites in Rio Rico and Patagonia that support a “one stop wellness” model. MHCCC provides various community outreach programs, support groups, and public education events. Our bilingual staff provides expertise, compassion, and a dedication to helping patients navigate the health care system to get the treatment they need. Amigas Unidas (Friends United) is a bilingual peer-to-peer grassroots volunteer program where Latina women educate other women in their communities about breast cancer. Rayos de Esperanza, the only Hispanic and bilingual breast cancer support group in the region is offered in partnership with La Sagrada Familia church. The group meets monthly in locations around Greater Cleveland. Contact Camile Garcia 216-778-8347 cgarcia@metrohealth.org. Treats every type of breast cancer with latest treatments, including personalized therapies based on the cancer specific genetic makeup. Special clinics focus on caring for patients with particular needs, including woman with inflammatory breast caner and young women. The Women’s Health Resource Center provides women a location to obtain current health information and resources for health and well- being through classes, individual health consultations and support groups. The center provides supportive care for women with cancer, women in mid-life and beyond. For women without insurance we offer the option of a cash payment. We also have knowledgeable staff that assists uninsured women in determining if they qualify for financial assistance. If a patient is diagnosed with breast cancer, our Empower Her® sponsorship program provides guidance through the medical maze. Empower Her includes Patient Navigators who are by the patient’s side when the diagnosis is shared and offers one-on-one advocacy and mentoring support through the entire process of diagnosis, to physician referral, to treatment. Every woman diagnosed with breast cancer is welcome, including husbands, family members, and friends. Meetings are held every 2nd Tuesday of the month from 6:00 p.m. – 8:00 p.m.
Reunión de Apoyo para Mujeres Hispanas: Toda mujer diagnosticada con cancer del seno es bienvenida, incluyendo esposos, familiares y amigos. Reuniónes se celebran el segundo martes de cada mes de 6:00 p.m. – 8:00 p.m. Triple Negative Breast Cancer provides information for patients, caregiver, clinical trials, helpline, and patient advocacy groups. As the largest pediatric cancer center in the United States, and the #1 in Texas, this Cancer Center provide medical treatment for patients with childhood cancer and childhood blood disorders. As specialists in the treatment of all pediatric cancer and pediatric blood disorders, and as experts in childhood cancer and childhood blood disorder research, we have developed treatment programs and centers to cure children with the most common and the most rare forms of all childhood cancer and blood diseases. Providence Southern California has built a broad range of community benefit programs serving the elderly, the uninsured, our immigrants, school children and those with mental illnesses. The Latino Health Promoters Program was started in 1993 and serves communities with high concentration of Latinos. The goal of the Program is to educate dedicated community volunteers on different health topics and support them in their effort to keep fellow community members healthy through screenings and health information.